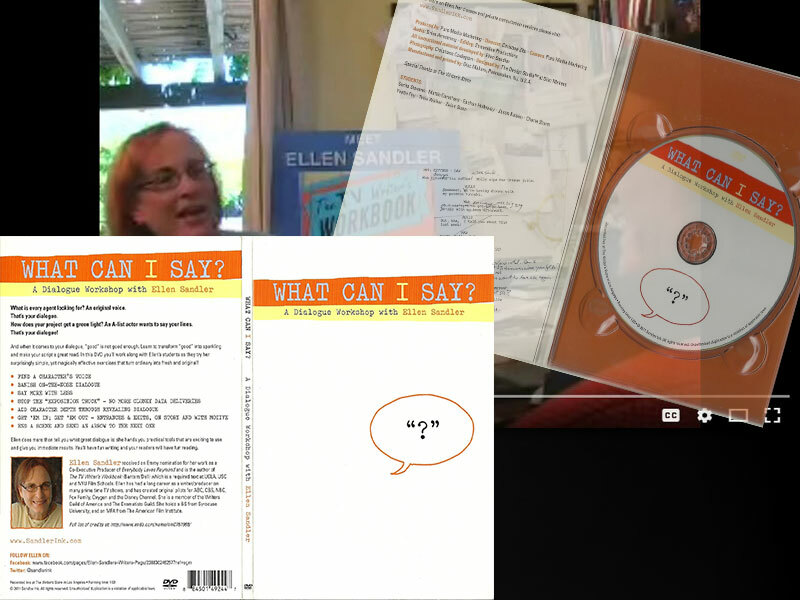 We produced a corporate video for Ellen when she taught a workshop on writing dialogue for television that also went along with her book, “The TV Writer’s Workbook“, that was held at the Writers Store in Burbank, California. Packaged for DVD and sold at the Writers Store, her website, and Amazon. Full equipment package: audio, lights, camera, etc. Added elements to explain spoken content.